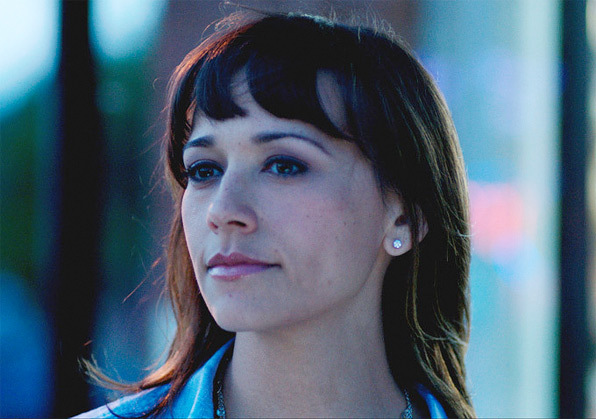 One of the first films on the Sundance 2012 line-up this year (just announced today) that I'm particularly excited about is Lee Toland Krieger's Celeste and Jesse Forever, a romantic comedy co-written by actors Rashida Jones and Will McCormack, starring both as well. The Playlist nabbed a few first look photos, four so far, from the independent film, produced by Team Todd & Envision Media Arts. 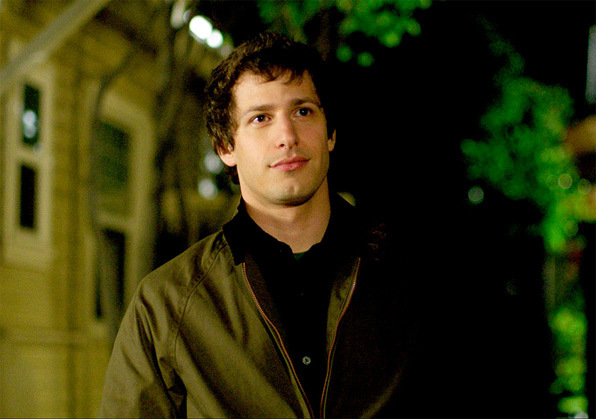 The photos show Andy Samberg as Jesse and Rashida Jones as Celeste, a divorcing couple trying to maintain their friendship while they pursue other people. I'm sure it'll be a lot funnier than that sounds and we'll see more than this. Here's the description for Celeste and Jesse Forever from Sundance: Celeste (Jones) and Jesse (Samberg) met in high school, married young, and at 30, decide to get divorced but remain best friends while pursuing other relationships. It's described as a "version of When Harry Met Sally 20 years later… It's really about how you break up with someone." The cast includes names like Ari Graynor, Chris Messina, Elijah Wood, Emma Roberts, Eric Christian Olsen & Zoë Hall, which means it should be fun. Director Lee Toland Krieger last directed The Vicious Kind and December Ends prior to that. We'll keep our eye on this up at Sundance.